Materials: Iron, Wood, Bronze, and more! This Italian iron and crystal chandelier from the mid-1900s has a wonderful rich gold finish with a underlying reddish finish. It has 8 arms with 8 electrified candles and additionally there are 2 lights at the base of each candle and 4 in the middle. The 20 hidden lights make the small crystal beads in the base and in each candle cup light up like the night sky. The fixture is further accented by faceted oval beads and glass leaves surrounding a central cut crystal column. This fixture could be the centerpiece in any dining room and would be a statement piece to design a room around. 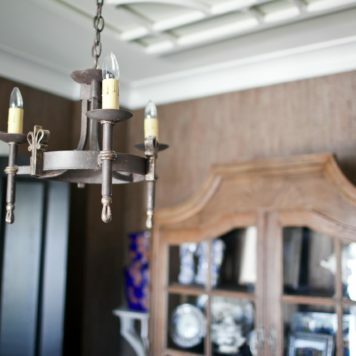 The Big Chandelier specializes in antique and vintage European lighting. Our showroom is located at 484 14th Street NW in Atlanta, Georgia, though our clients come to us from all over the world. The Big Chandelier is your alternative to traditional lighting and furniture stores. 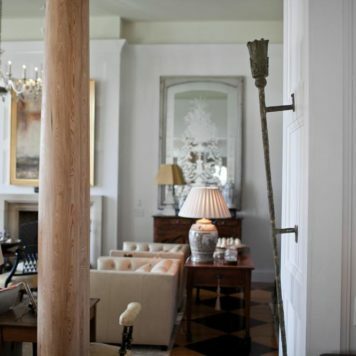 We offer a wide selection of vintage chandeliers, sconces, lanterns, and floor lamp from all over the world. At The Big Chandelier, we source our vintage European lighting from France, Belgium, Italy, Spain, Holland, Germany, and beyond. 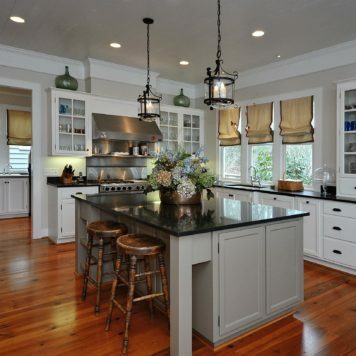 We specialize in rustic light fixtures, perfect for country houses and cottages. We also offer Art Nouveau lighting, Art Deco lighting, and Mid Century lighting. Our clients range from private home owners to designers, builders, architects, and business owners. Whether it’s your living room or your conference room, we have a unique lighting solution for you. We offer lighting in any size or style, from rustic to formal, and everything in between! We love finding vintage lighting to fit any home or space — and wow your neighbors. 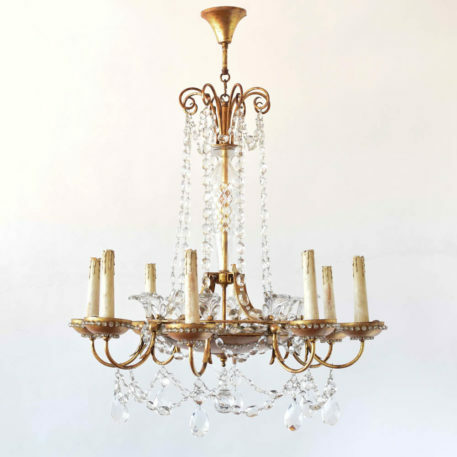 The Big Chandelier is your source for antique and vintage lighting in Atlanta, Georgia! Give us a call at (404) 872-3332.